It seems like Ford’s Mustang-inspired Mach 1 all-electric performance SUV will hit showrooms in 2020 – Which might irk the Mustang Mach 1 purists. According to the American manufacturer's annual financial summary for 2018, their all-new, all-electric SUV, known as the Mach 1, will go on sale in 2020 after its reveal later this year. Previously, Ford has said the Mach 1 will be built on a dedicated EV platform and, while performance details are yet to be announced, we do know it will use lithium-ion battery technology and have a range of 300 miles. They also said they were looking to launch a practical all-electric SUV, but opinions have changed since the influx of vehicles in that mould from their competitors. 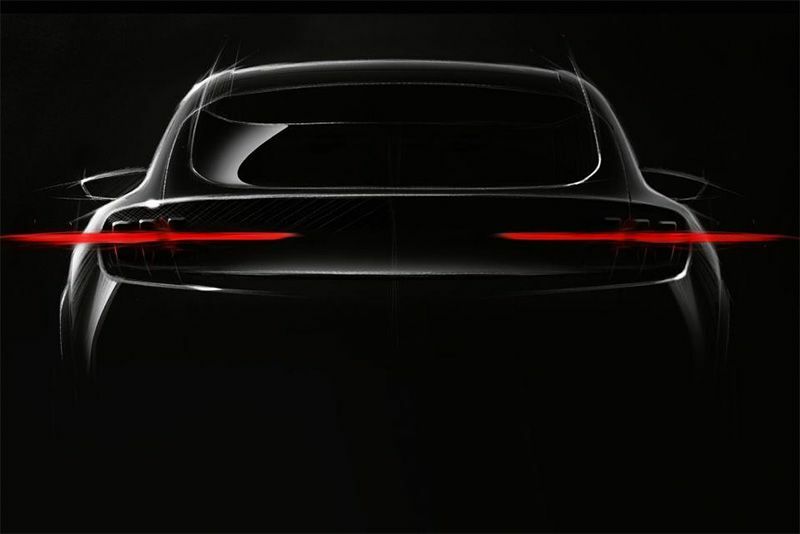 Instead, to create a niche within a niche, they've opted to inject their Mustang's performance and image DNA instead – hence, the Mustang-inspired rear lights in the teaser image above. Ford reckons the Mach 1 has "mostly been finalised", with prototypes scheduled for development testing on the road later this year. They've also confirmed that one of Ford’s facilities in Mexico will take care of production. Just last year, Ford opened up a new division called Team Edison, comprised of 200-odd people, whose focus is to create and develop their autonomous and electric vehicle offerings. They've also doubled their investment into this emerging market to $11 billion, so it's no surprise then that we're about to see the Ford Mach 1 from the American manufacturer. According to Darren Palmer, Team Edison’s global product development director, he "expects this outlay to bring 16 fully electric vehicles into a global portfolio of 40 electrified vehicles by 2022".